in one moment, and the streets of Lagos in the next. significant that to this day—owing to her father’s fear of losing her—Ay ọ has never returned to Nigeria. immediately with words of support, giving Ay ọ the spark she needed to recharge and return to the studio. 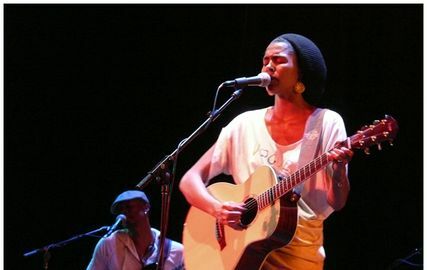 Ayọ ’s debut CD JOYFUL on Interscope Records was released in the United States in November 2007.